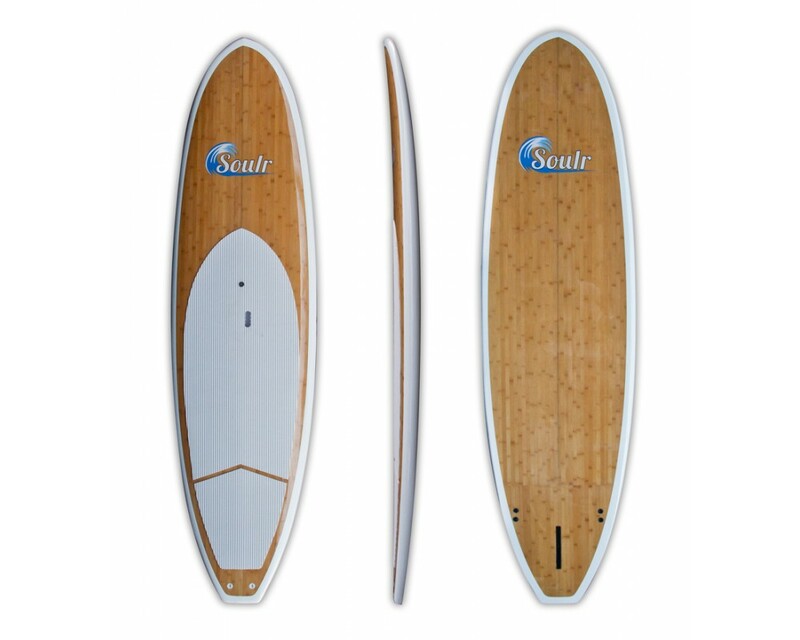 At 10'8" long, this SUP is a fantastic choice for cruising on flat water, or just catching a few waves. Beginners and experts alike can appreciate the stable platform, beautiful design and solid construction. 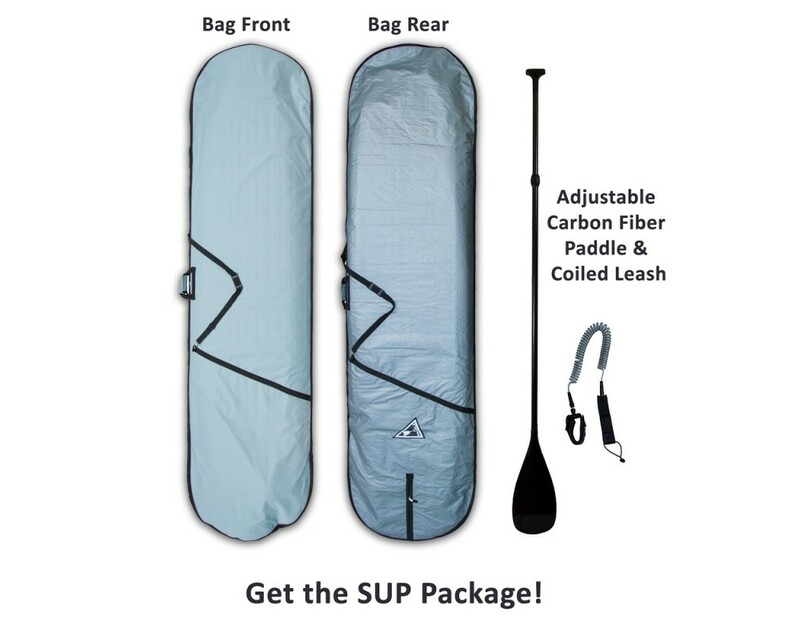 The core is 100% hand shaped EPS foam, built using our premium epoxy sandwich construction, then vacuum sealed with epoxy resin for a lightweight, durable paddle board. Once the board is water tight, we lay a real bamboo veneer on the top and bottom, paint the rails and polish the SUP to a perfect shine. 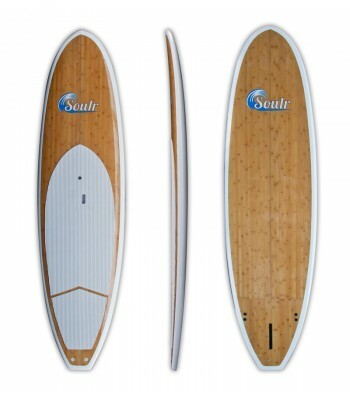 On the bottom of this bamboo SUP, you'll find a 2 + 1 FCS fin setup. 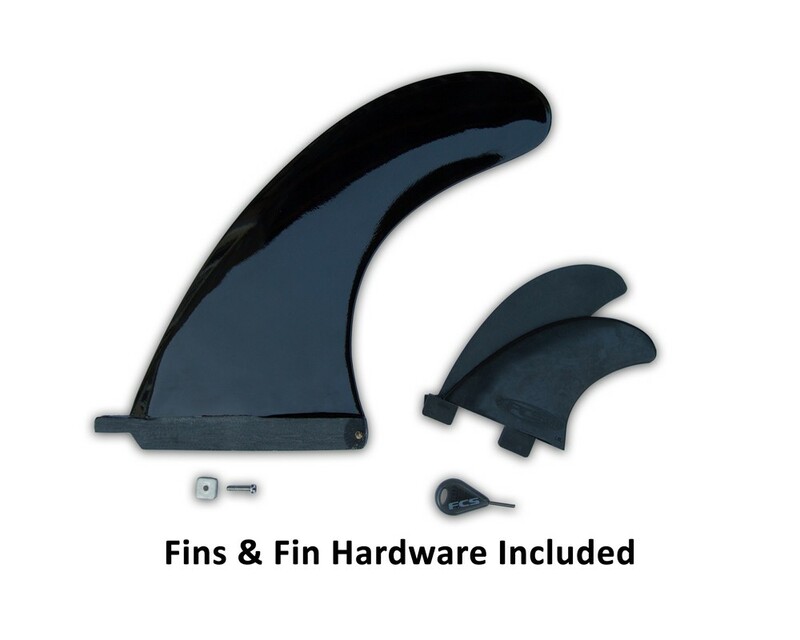 Use just the big center fin for cruising around, or add in the side fins for extra hold in the waves. 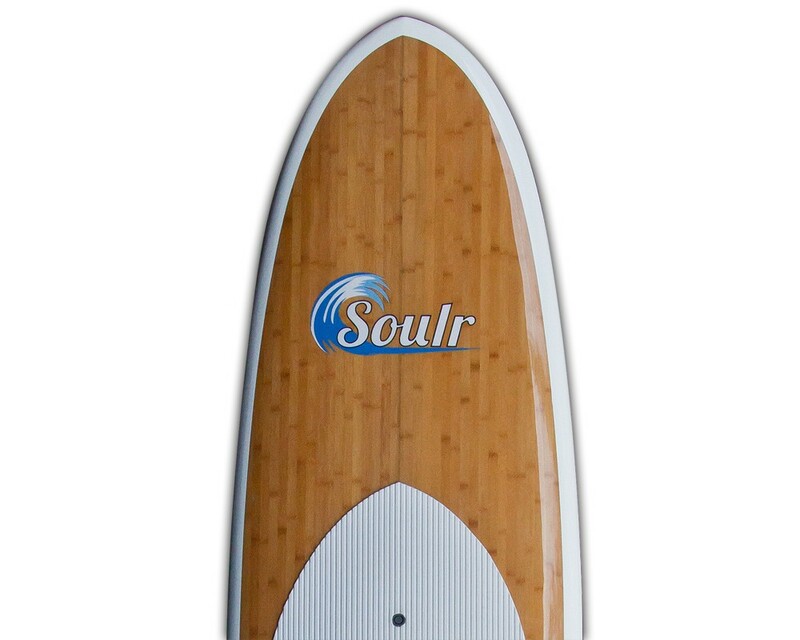 If you want to surf this paddle board, you'll appreciate the wide squash tail design, which helps you push this SUP into the wave, and aids in providing stability to the entire paddle board.